One of my main targets for 2016 was to gain selection and compete at the European police championships – much to my disappointment the event has been cancelled. With the cancellation of this event, my other aim for the season had been to chase my first Cat cycling licence, but I’ve always been more motivated by targeting a certain event. So I set about looking for a new competition target for 2016 – and have settled upon the World Master Track cycling Championships, which is held in October in Manchester. I’ve never competed in ‘Masters’ events before, not really considering myself to be old enough! But my date of birth doesn’t lie, and at 37 years old I fall squarely in the middle of the 35-40 age bracket – so why not! 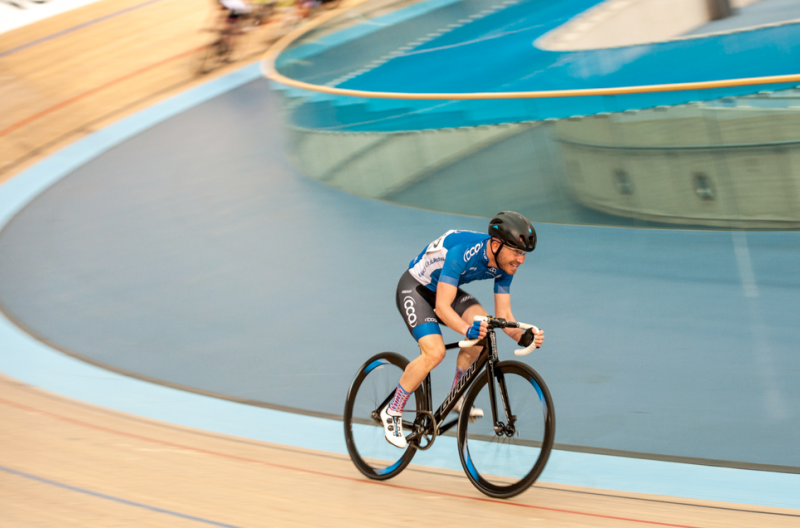 As a consequence since my last blog I’ve been competing in another branch of cycling to get some track experience – grass track, and fantastic fun it is too. As with track cycling, grass track involves riding a fixed wheeled bike (with no brakes or gears) around in a circle – but on grass! !, the main adaption to the bike being nobbly tyres, in an attempt to keep traction on the bends. My first grass track experience was a home fixture for CC ASHWELL, and I loved it! Sunshine, enthusiastic crowds and a friendly atmosphere made for a great day of racing, and my daughter Ellie was competing in the U10 girls, so it felt like a real family affair. 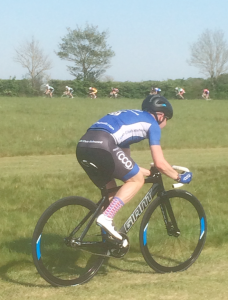 I was racing the National 8km grass track champion throughout the day, and I think I was lucky enough, being a novice grass track rider, to get away from the group in the 5km race, getting a win in the last event of the day – making myself a marked man for future grass track distance races! 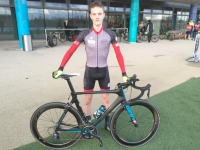 I also got to do my first evening of track racing at the London Olympic velodrome, competing in the Scratch race, devil (take hindmost) race, and points race, finishing 6th ,6th , and 4th. As a result of my track racing I’ve gathered a few more points towards my first cat licence and now have 38 of the required 200 points – still a long way to go, but there are big points on offer in the remainder of the season, and having had a week off during a family holiday I hope to continue the chase as I build up to the World Masters champs in October.